MarcomCentral®, a product of PTI Marketing Technologies, is a leading marketing asset management solution that helps enterprise marketing departments control and distribute marketing materials. The online platform automates a variety of marketing, creative and distribution processes using an integrated web-based marketing portal configured specifically for each corporation. Sales teams, field marketers, franchisees, agents, partners and other authorized personnel can create their own personalized marketing pieces, subject to rules and brand guidelines determined by headquarters.With MarcomCentral, companies streamline and improve their overall marketing operations, greatly reduce costs and maximize marketing efforts. Today, more than 3,700 corporate customers use PTI solutions to serve over 700,000 end users. More than 100 of the Fortune 500 offer desktop access to PTI products. Demandbase is the only marketing solution designed specifically for the account-based needs of B2B. The Demandbase B2B Marketing Cloud is a comprehensive set of solutions powered by patented technology that makes it possible to deliver personalized ads to people at specific companies across the web and tailor the website message to engage and convert these companies to customers. It easily connects into existing technologies including CRM, CMS, and marketing automation, analytics, chat and others so marketing leaders get a comprehensive view of the performance of their marketing programs- from awareness through pipeline and closed revenue. Leaders at high-growth companies such as Adobe, Box, CSC, DocuSign, Dell and others use Demandbase to drive better B2B marketing performance. For more information, visit http://www.demandbase.com. Allocadia Marketing Performance Management is planning, budgeting and analysis software for revenue-driven marketing teams. Allocadia replaces antiquated and cumbersome spreadsheet budgeting and planning processes with powerful cloud software built for CMO’s and global marketing teams. Allocadia connects to leading CRM, finance, social media, MRM, and marketing automation systems to provide complete visibility into marketing performance. Allocadia has more than 100 global customers including Juniper Networks, StepStone, Trimble and VMware, and partners including Marketo, Oracle and salesforce.com. Follow Allocadia on Twitter @allocadia. Lattice is pioneering the predictive applications market for marketing and sales. Lattice helps companies grow revenue across the entire customer lifecycle with data-driven marketing and sales applications that make complex data science easy to use. By combining thousands of buying signals with advanced predictive analytics in a suite of secure cloud applications, Lattice helps companies of all sizes including Citrix, DocuSign, Inc., HireVue and SunTrust Bank to increase conversion rates by more than three times. Modern Marketers choose Oracle Marketing Cloud solutions to create ideal customers and increase revenue. Integrated information from cross-channel, content, and social marketing with data management and dozens of AppCloud apps enables these businesses to target, engage, convert, analyze, and use award-winning marketing technology and expertise to deliver personalized customer experiences at every interaction. 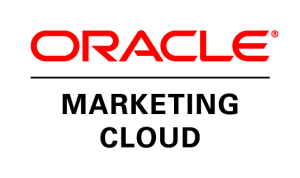 Visit oracle.com/marketingcloud. Demand Gen Report (DGR) is a targeted e-media publication spotlighting the strategies and solutions that help Business-to- Business (BtoB) companies better align sales, marketing and disparate teams to support growth and drive revenue. DGR content and news coverage focuses on the sales and marketing automation tools that enable companies to better measure and manage multi- channel demand generation efforts. Demand Gen Report is the only information source directly focused on this rapidly emerging business discipline. Channel Marketer Report (CMR) is a targeted e-media publication covering the latest solutions, trends and strategies to help vendors optimize their marketing, both to and through their partner networks. The publication will highlight solutions and processes designed to help marketers track results and sales leads across a complex, tiered marketing structure. In addition, CMR will provide prescriptive “how-to” articles, offering guidance for VARs and independent agents eager to increase sales by communicating consistent messaging to their direct customers across all emerging channels, such as social media and video. Equipping and empowering today’s business marketing leaders, we connect our members with the kind of knowledge, people, and programs that make achieving their b2b company objectives more efficient and effective. SoCal BMA serves the Greater Los Angeles area, Orange County, San Diego, and the Inland Empire. Demand Metric is a global marketing research & advisory firm serving a membership community of over 50,000 marketing professionals with expert advisory services, 100+ research & benchmark reports, 30+ playbooks & consulting methodologies, 75+ training workshops & courses, and a library of 600+ practical tools and premium templates. Interested in sponsoring the 2015 Summit? Contact marketingoperationssummit@pti.com with any inquiries.